garvey cey russell lopes: another team collector dilemma? 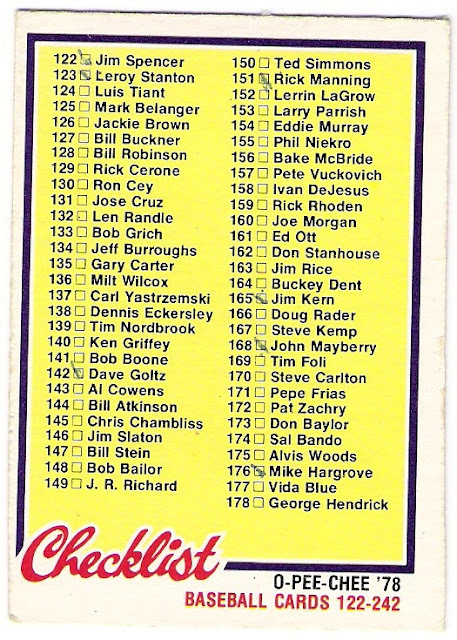 that sometimes misspelled bucky dent's name (he's number 164). these checklists were two different entities - i figured it was one for team collectors and another for set collectors. 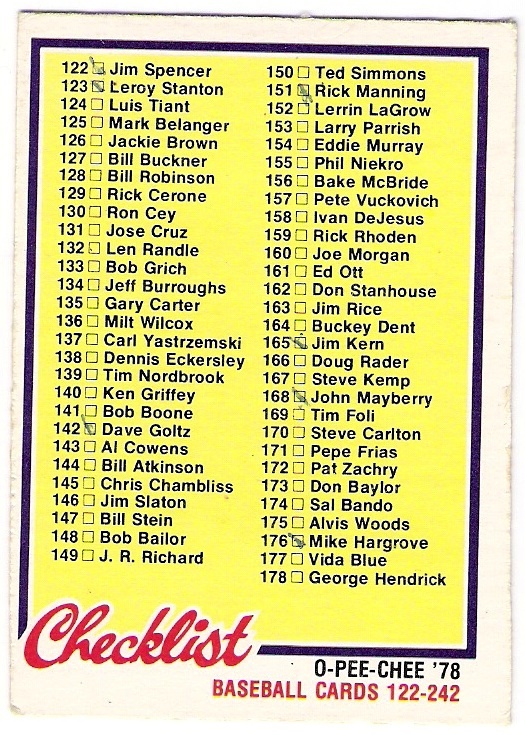 i didn't realize until later that this was a fairly new phenomenon as topps first put the team checklist on the back of team cards in 1975. anyway, all was good until 1981 when fleer came along. 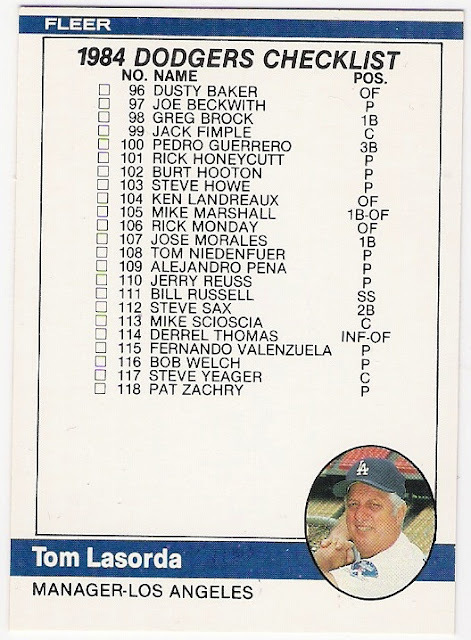 in their inaugural set, fleer divided the set checklist cards up into team checklists - two teams per card, one on the front and one on the back. 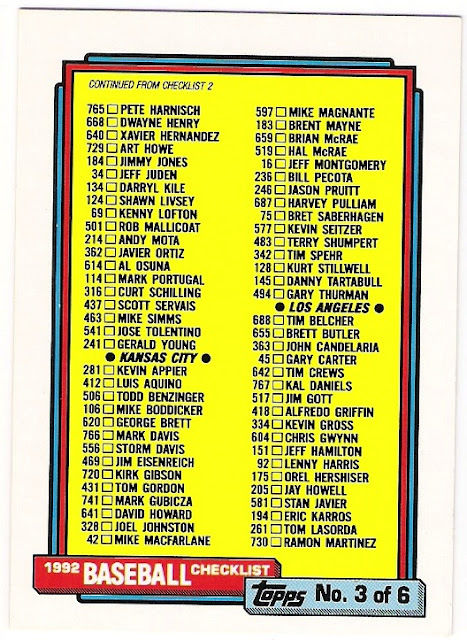 here's the dodger team checklist from 1981 fleer. les expos are on the back, by the way. 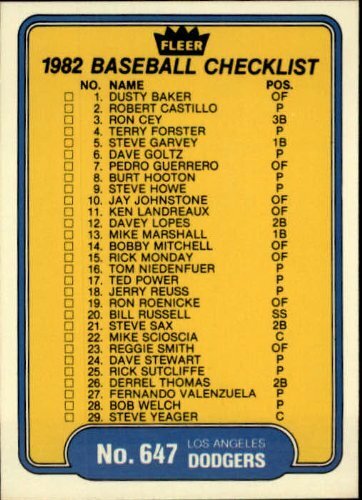 this made sense to me as fleer numbered their sets by team, so all of the dodgers were numerically sequential, well, except for the steve garvey superstar special card near the end. and then again in 1983.
hello, tom lasorda. sorry, steve boros (the a's are on the back). like i said, i considered these to be part of the team sets. 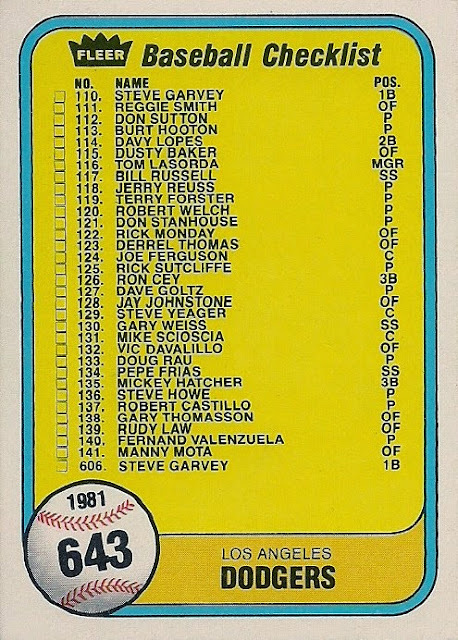 in 1982, topps did away with the team cards and started putting the team checklists on the back of team leader cards. 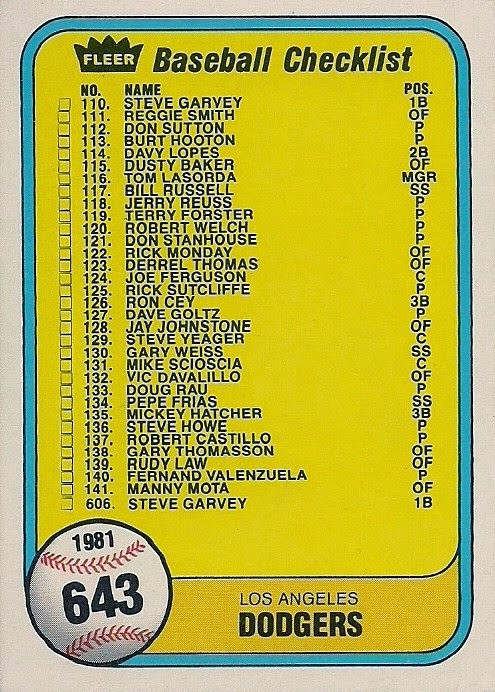 they continued doing that until 1985, when they moved the team checklist to the back of the manager's cards. 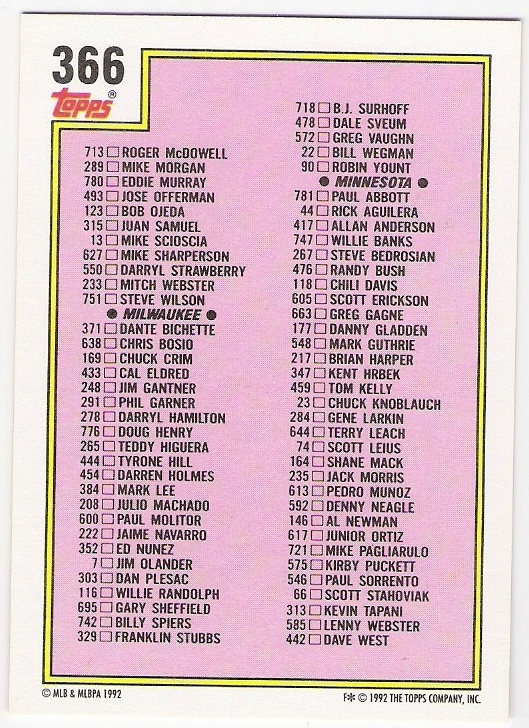 topps continued this practice of team checklists on the back of manager cards and set checklists on their own cards through 1989. in 1990, however, they brought the team statistics to the back of the manager cards and modified the set checklists so that they were sorted by team. 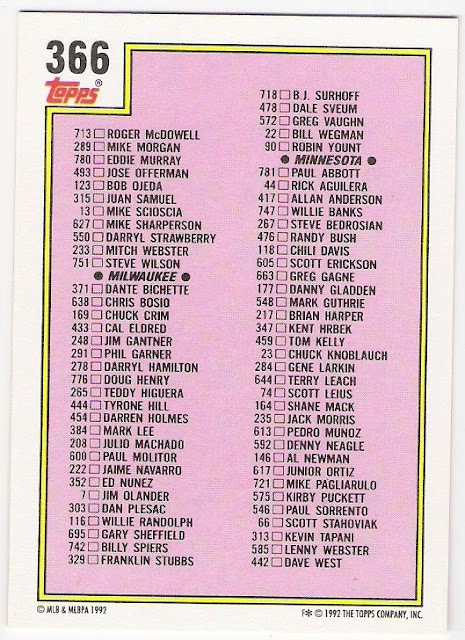 this continued through 1992 before topps went back to the traditional numerical order set checklists in 1993, although they eliminated team checklists that year. to me, this does not belong in my dodger topps team set binder. what say you? Hmmmm. I would say no and restrict team set collection to items that have the team logo on them somewhere. Possible exceptions would be the "Now with . . . " OPC cards, even those have a player pictured and the team name. 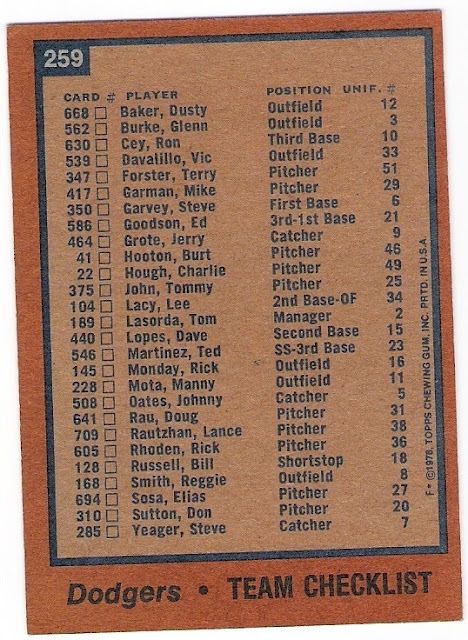 I had a similar but different dilemma with the Twins - the 1969 Topps set has team cards for most teams, but not for the Twins... I bought a standard card sized Topps Stamps Album from 1969 instead and will be using that for the team card. I include *ANY* card that features my favorite team as part of the team set for those years. So, for my PC, I do have the Indians checklists as part of the team sets. I suppose it depends on how you interpret the cards in terms of your own collection. Haha, that was no help at all, was it? I only include team checklists if they have a picture on them. Of the ones you posted only the 78 Topps and the 84 Fleer would count. Nope. They don't belong. I have a hard enough time including the ones with another team on the back/front. I'm wrestling with the later Fleer checklists that had 4 teams on them instead of 2. I stick with the "only if there is a logo" philosophy and even then that card would be sitting in my Rockies oddball box unless there is a specific player named and pictured on the card. For me: Single team checklists... yes. Everything else... no.